5 legends from 5 different sports are a part of this post. They are the best, they hold records and they are at the top of the world for years now. Today, I want to introduce you to the legends of basketball, American and European football, baseball and ice hockey and their action figures. This article was actually written over 2 months ago by Mark, sometime before Thanksgiving, and I kept delaying the posting for various reasons. I was first out of town for Thanksgiving, then I was out of town for work, then I was preparing for Christmas and the New Year. January 1st is actually my wedding anniversary and we took a week-long cruise. I got back to town and about 4 days later, caught the flu. I have been pretty much out of pocket for over 2 months which is why I haven’t posted this article until now (or have made any updates since early November). I apologize whole-heartedly to Mark who has waited patiently for his article to be posted. I hope he does not let my lack of time dedicated in posting this article affect any future work and Mark, if you are willing, we can talk some more in making you a regular contributor to the site. 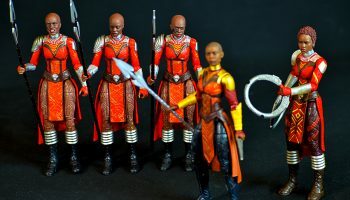 For now, enjoy this awesome article! There is no person in this world who doesn’t know about Michael Jordan and it is one of the best basketball players with his own action figure. This set actually has 2 action figures of Michael Jordan; the slam dunk action figure and the jump shot action figure. 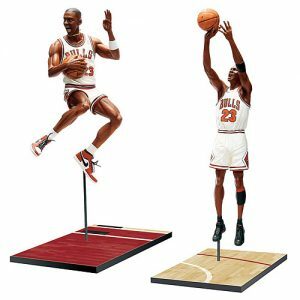 As you can see, both figures have signature Air Jordan kicks so you can imagine that the details on the action figures are impressive. The back jersey is Chicago Bulls uniform which is considered the second home of Michael Jordan. 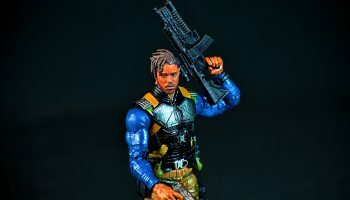 The figures are extremely realistic, you can see every muscle in his body and they are made from injection-molded PVC. 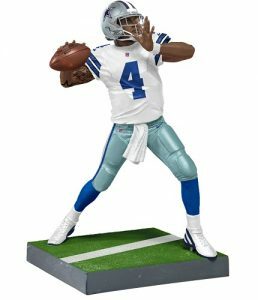 American football is the only sport more popular than basketball in the USA and I want to present you the action figure of one of the best football players in the world who plays for Carolina Panthers. He has many awards behind him and this career is getting better and better each day. 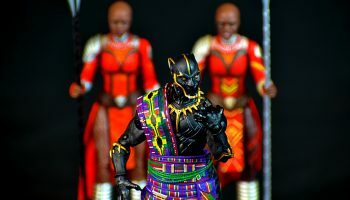 The action figure is in the Carolina Panthers uniform made with great details and it is a treat for every foosball fan, especially the Carolina Panthers fan. Billy Hamilton is one of the most impressive baseball players who showed that he has a talent for the early ages. Today he plays for the Cincinnati Reds as the baseball center fielder and he has a bright career in front of him. 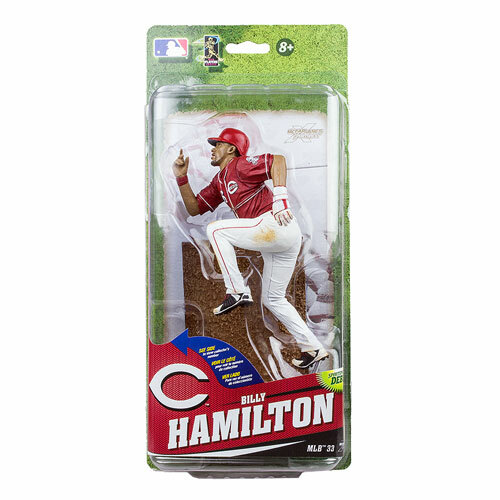 This action figure is limited edition, produced in only 100 pieces which makes it even more interesting to baseball fans all over the world. One of the treats Billy has is his great speed so his figure is made in a run. One of the best hockey players of all time, Wayne Gretzky is known to people who haven’t got a clue about hockey. He has numerous action figures, but we picked the best one. 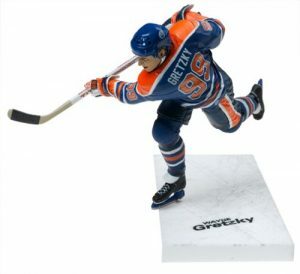 The action figure is from the NHL Legends Series and it shows his days in the Edmonton Oilers jersey. Made with details on the face and the jersey, this figure shows Wayne in his natural position, fighting for the puck. Lionel Messi is Argentinean football prodigy and one of the best football players today. He played for many European clubs and this action figure is made with Barcelona jersey. 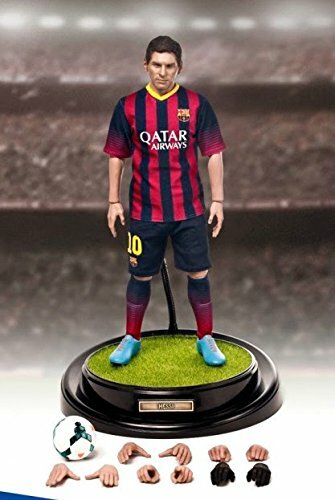 The impressive details on the face and jersey make this action figure must-have figure for every Barcelona (or football) fan. Which is your favorite sport? What about sports action figure? Mark is a foosball player who has a blog about foosball. His blog is called the Foosball Zone and if you want to learn about foosball check this blog.